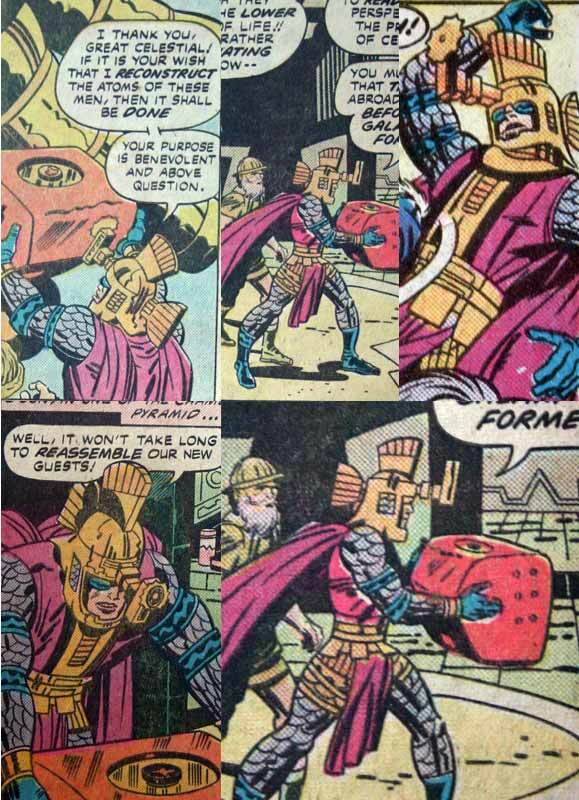 This appears to be King Kirby week here at the HeroMachine Comics Blog, and once again I'm going to be picking on a guy I regard as a genius. But hey, if you can't destroy the ones you love, who can you destroy, right? Actually it's sort of a combination giant fish with a big lens instead of a head, I suppose. Maybe they heard "Fish Eye Lens" and got carried away? Whatever, look at how far out the nose of that thing sticks from the head! "I'd love to kiss you, darling, but I can't get closer than two feet!" 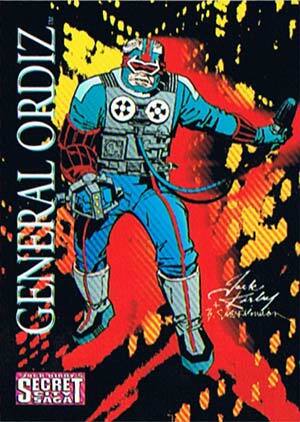 Keep this in mind as you design your Kirby-inspired contest entries, hopefully it will ... inspire? ... you to new heights of awesomeness. Kirby had talent no doubt but REALLY??? What the heck inspired that helmet. I think I’m likely to loose this weeks contest for sure. I’m just having trouble wrapping my head around how impractical these idiosyncracies are. Don’t feel bad MMI, Some of those are a little out there. And people give image 90s grief. Now with that said, Kirby is an amazing artist, with his hand in many great characters, but some of those, such as fish head, just leave me with a single thought, WTF? So Jeff, are you biased in concerns to the current contest in favor of a sleek Silver Surfer type, or a full blown over the top Galactus type? MartianBlue, people give ’90s Image Comics grief because one of its founders still can’t draw feet. Or realistic body proportions. But yeah, I guess Kirby is to giant suits of armor, excessive helmet flanges and controls and gauges everywhere, just as Leifeld is to pouches, guns the size of the Hadron Colider, and women with dislocated hips. It would be better if they’d shown how he actually used that doo-hickey on his helmet, rather than just have him walk around and say stuff. I’m sure when they designed it there was a practical use for it, but as for the design of the rest of the helmet, … yeah I’m pretty sure he was going for fish.